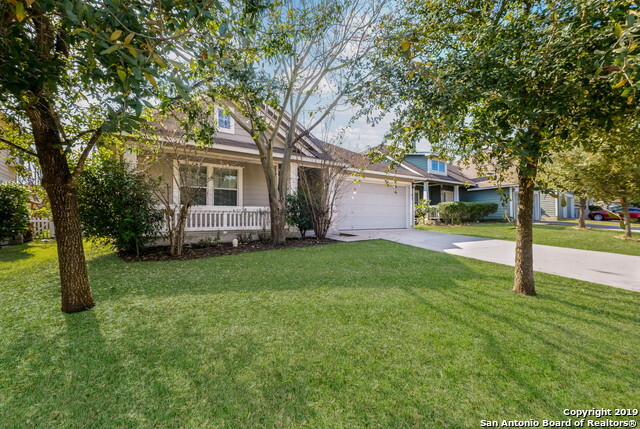 All CHARLESTON PARKE homes currently listed for sale in Cibolo as of 04/25/2019 are shown below. You can change the search criteria at any time by pressing the 'Change Search' button below. "This gorgeous 4/3/2 contemporary home hosts stunning hickory wood flooring, surround sound, media cabinet/shelving in LR, kitchen w/SS appl,walk-in pantry,wine fridge,custom glass cabinetry,large island & eat-in area. First floor has formal DR,study w/french doors & secondary BR w/built-in dresser & adjoining full bath. Upstairs has loft w/built-in desks & a sep.game-room. Master BR has dbl vanity & his/her closets,tub & rain shower. 2 add'tl bedrooms w/j&j bath. 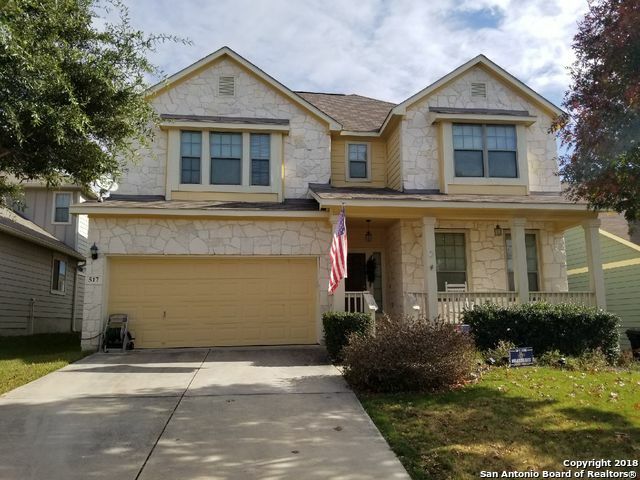 8ftx35ft covered patio overlooks"
"Beautifully maintained 4 bedroom, 3 full bath home with Study, Media Room and Loft on a Greenbelt in the highly sought after Cibolo- Schertz-Universal City School District. Community features Splash pad, Dog stations, Running/walking trails, covered playground and Picnic area. 1.5 Miles to I-35 and minutes from the Forum Shopping Center. *Buyer/Buyers Agent to verify all room measurements, schools and utilities."